If you haven’t heard about the latest PTO phenomenon known as Unlimited PTO – you may or may not be living under a rock. But that’s okay! We’re here to catch you up to speed. Unlimited PTO was made significantly popular when Netflix released it’s culture deck back in 2009 and talked about the flexibility and freedom they offer with their vacation policy or “lack thereof”. 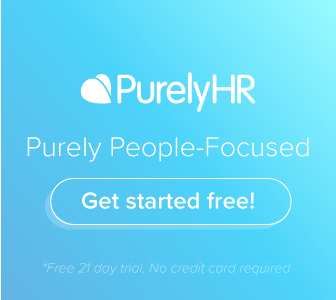 Soon after it became very popular in Silicon Valley and other major technology organizations and has recently picked up speed by HR as a talent acquisition & retention tool for all types of small to medium-sized businesses. You may have even considered it yourself! 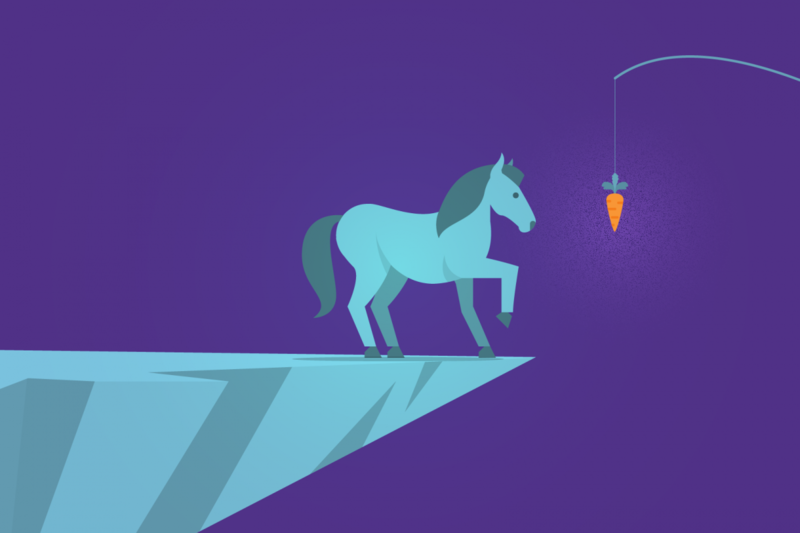 We’ve talked in our blog before about how we revisited our own internal PTO policies last year and Unlimited PTO was definitely something to consider although we ended up structuring our PTO in a different way – we still ended up doing a lot of research on it for future content. (and that brings us up to the present moment). We knew that in educating our audience on a time off trend like Unlimited PTO, we wanted to be as unbiased as possible, because we don’t offer it ourselves, but we do know a few organizations who have done it rather successfully. In turn, we also have uncovered some businesses who have tried it and failed. Which is okay too! If there’s anything we’ve discovered in our research on Unlimited PTO, is that not everyone has had the same experience as Netflix and other large tech organizations. Some businesses found that they needed a bit more structure in order for it to be effective, others found it didn’t work at all. Taking a Deeper Look into the “Darkside” of Unlimited PTO. We wouldn’t be doing our due diligence if we didn’t take into consideration the downside of implementing Unlimited PTO in the workplace. In this post we wanted to present an unbiased view of this trendy policy and to do so, we, in turn, researched the companies who tried out Unlimited PTO and failed, and what they did in response. Probably one of the best examples of this is Buffer. Back in 2017, they wrote about their experience with Unlimited PTO and how it didn’t exactly work out the way they had intended it too and detailed what they had been doing instead and how that was working out for them. This article happens to be one of our favourites when it comes to recommendations for best practices on Unlimited PTO. Once they launched Unlimited PTO, the highest percentage of vacation days ended up in the 5-10 days per year range, followed by the 10-15 day range. To give you a little bit of context as to why they were disappointed, take a look at this graph showing an extremely similar engagement level the year before, the policy wasn’t helping. Their solution? Minimum Vacation. Which is kinda fun seeing as how it sounds like the exact opposite of unlimited, but in fact, it might just be even better! 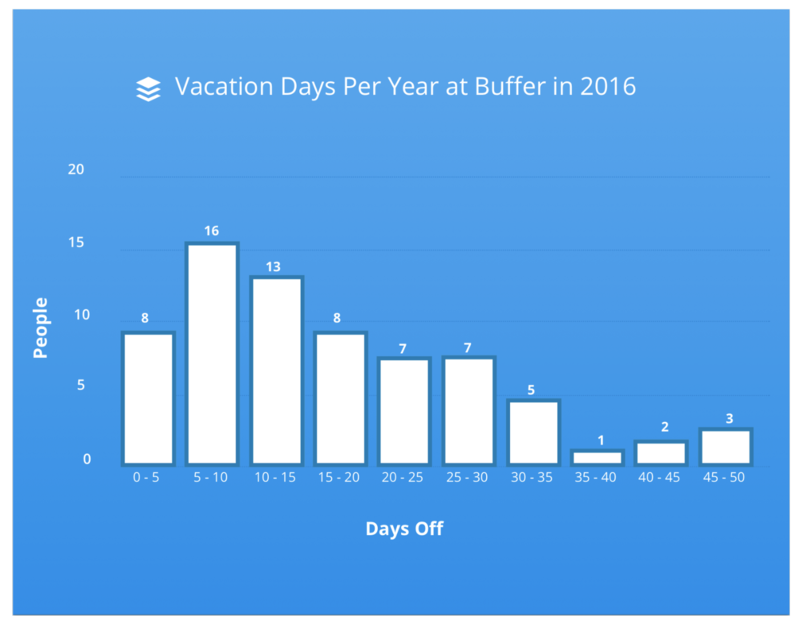 Now, at Buffer employees are not just encouraged, but required to take a minimum of three weeks of PTO annually. This is a great example of an organization where Unlimited PTO wasn’t necessarily the answer for their time off tribulations, but it certainly got the conversation started and found a policy that made all their wildest PTO dreams come true and reported an increase to an average of 18.2 per year. We’ve also seen the same thing happen with Kickstarter. The crowdfunding startup nixed its Unlimited Vacation Policy telling Buzzed News that they would now be capping vacation time at a (still very generous) 25 days a year. 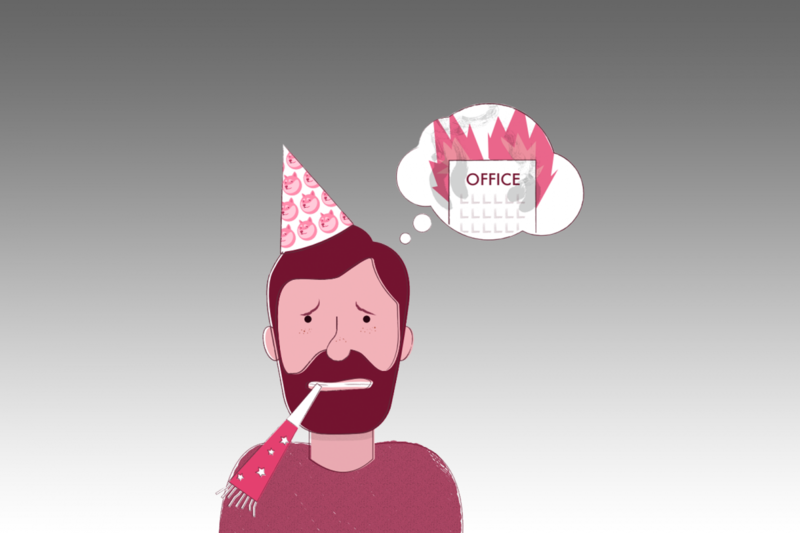 Alison Green from the Ask a Manager blog also cites ‘Guilt’ as the biggest downside to unlimited vacation for employees because, without an X amount of days per year, employees are unsure of what is considered acceptable or not. And because we know that employees really don’t want to be seen as undedicated by their managers, they end up taking far less then what would be required in order for the policy to live up to its purpose of being productivity-inducing. You may also have senior employees who will take issue with the new policy. Traditionally, employees who have worked in your organization for longer periods of time receive more vacation time, and newer employees would receive what could be referred to as a ‘base package’ upon their hiring. In numerous reports on the cons of Unlimited PTO, we’ve seen this issue arise. With Windsor Regional Hospital, it even impacted their new hire nurses who were afraid to accept the new policy for fear of backlash from more tenured nurses. 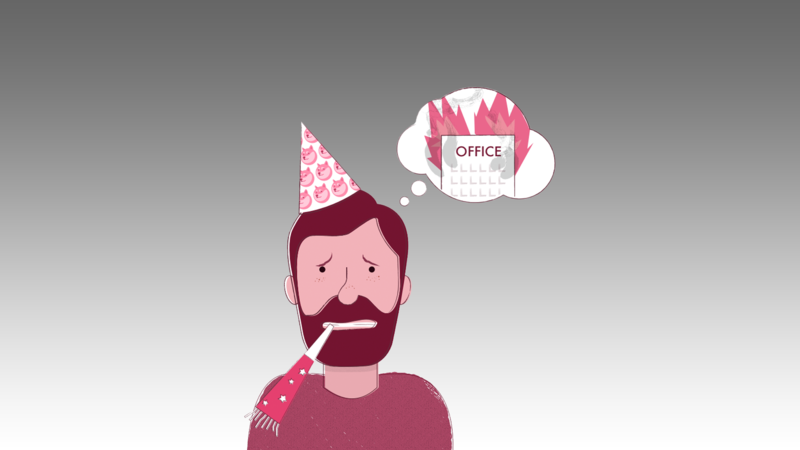 For agencies, the issue lies on the client side of things. Often times the client is promised a certain employee for a certain number of hours. So even if the agency has an unlimited policy, their client-centric structure could change the game. 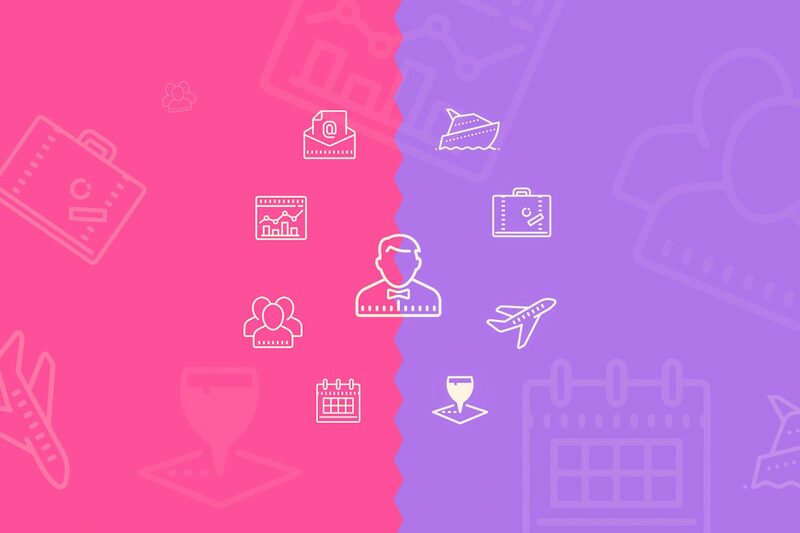 Often times, the situation may depend on the industry and the standards that come with it and each individual organization should heavily weigh pros and cons for their business before implementing Unlimited PTO. Luckily for those HR Decision Makers out there wondering it this could be the right path for you… We’re excited to take this opportunity to announce our next installment in a series of eBooks discussing various important time off topics, will be The Comprehensive Guide to Unlimited PTO. Keep your eyes peeled for that on February 5th! 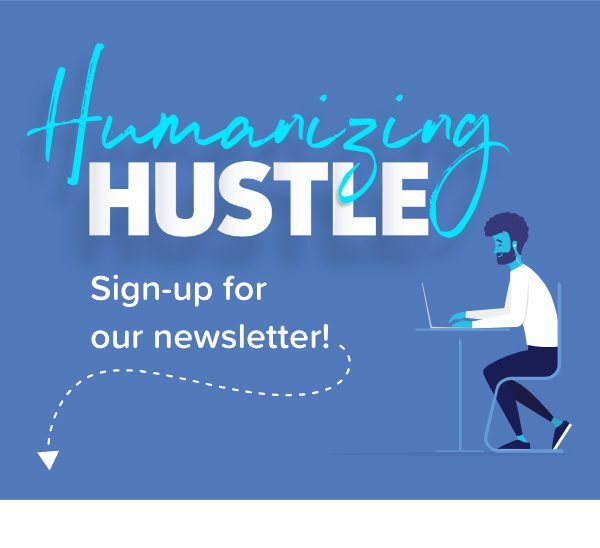 Want it delivered right to your inbox? Check out the pop up in the bottom right-hand corner of this page! So even if there is a downside for you, there might be a simple operations procedure that can be implemented along with it to make everything run that much smoother.